Earlier this week, it was reported that the BBC would officially announce who had won the role of Doctor Who in order to beat a report from a newspaper. However, the BBC denied the rumor saying that they would not be making an official announcement this weekend. 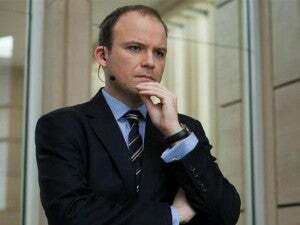 While the BBC kept its word and no official announcement has been made, the British newspaper The Telegraph is reporting that Rory Kinnear has been offered the role of Doctor Who. Reportedly, it is unknown if Kinnear will accept the role of the 12th Time Lord, as the BBC is waiting on his answer. Rory Kinnear is best known for playing Bill Tanner in Skyfall and Quantum of Solace. Rory Kinnear had been previously rumored to be up for the Doctor Who role, but Kinnear denied ever even having watched the show before. In a little bit of interesting Batman related trivia, Kinnear attended the same London school as The Dark Knight Rises star Tom Hardy, who played Bane.